Is it a sarong perfect for summer sun on the beach or by the pool? It most certainly is. 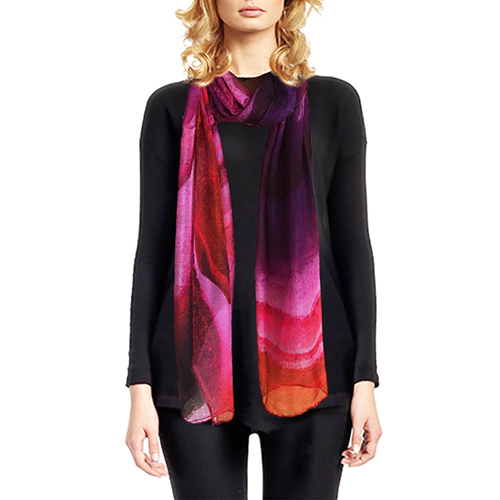 Is it a stylish, informal, lightweight scarf to wear year round? It most certainly is. 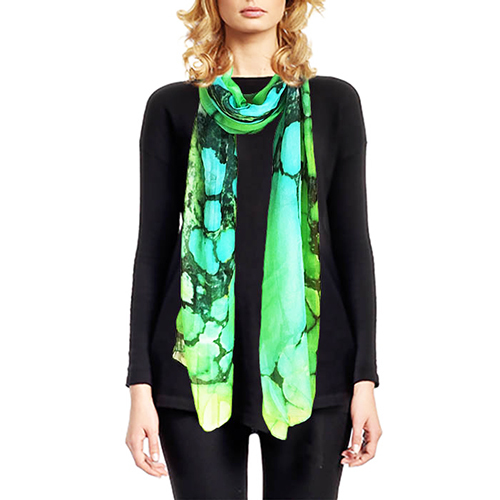 Two uses for the price of one very beautiful scarf/sarong, and particularly attractive as they were £145 when sold in luxury stores, yet you save more than half that here. They feel luxuriously silky next to the skin, and are generously sized (198 x 108 cms), so there are plenty of wraparound styling options. 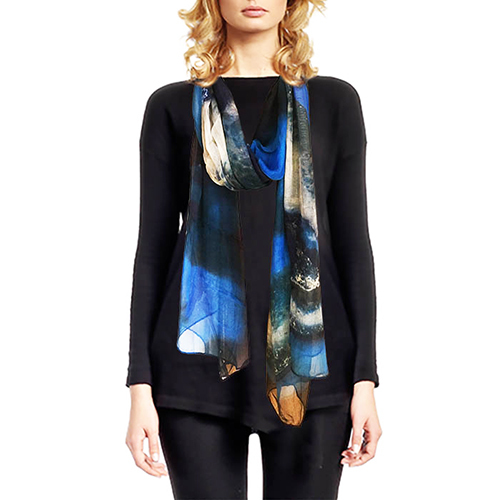 They are 85% modal (a natural product made from beech tree resin), 15% silk, and digitally printed in Italy.